This next idea is so great and very easy to implement in case of emergency or when camping. 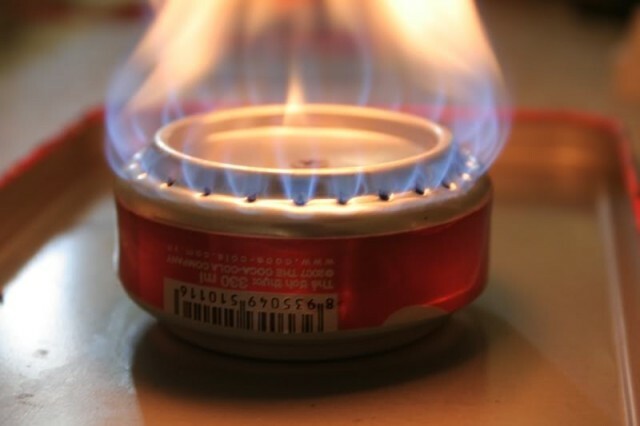 The tutorial is going to teach you how to make a small stove out of a soda can in just a few minutes. Aluminum is the lightest of metals and due to its flexibility and strength it’s most often used to manufacture everyday products such as beverage and food containers. 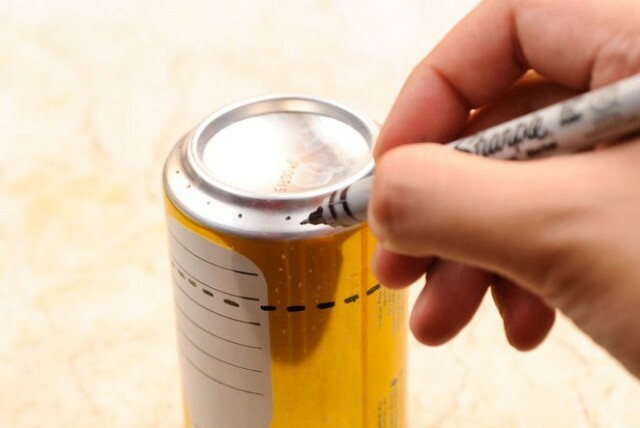 So by trying this project, you can also reuse your containers of soda and contribute to the reduction of environmental pollution. If you follow the steps from the link you can build (with few materials and minimal skills) a portable stove for travel or cooking in case of energy blackouts. 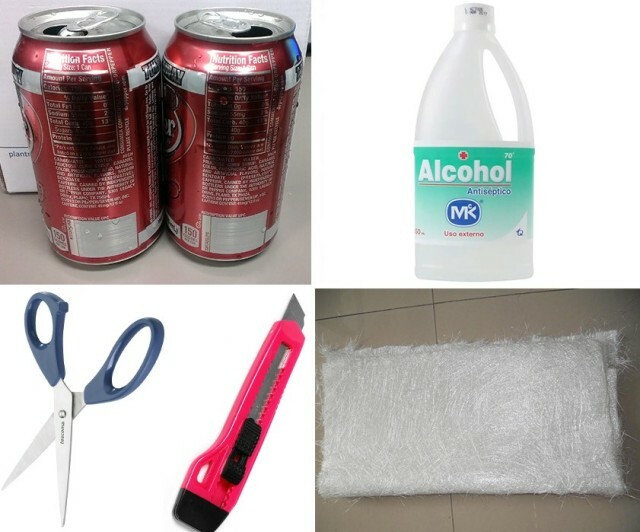 The supplies you are going to need are: 2 aluminum cans of any soft drink, 1 marker, a pair of scissors or cutter, 1 small sandpaper, 1 nail, alcohol and fiberglass. 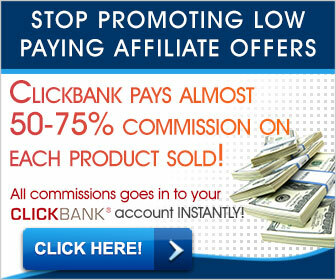 The step by step tutorial can be found on the link below. Happy crafting! 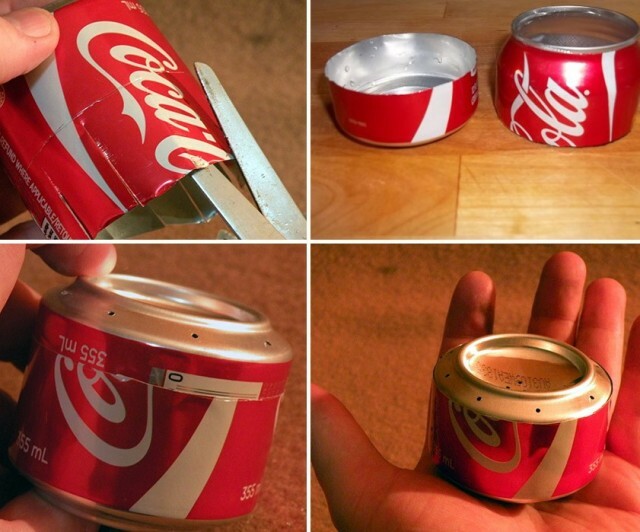 Finally, this is the fire from your Stove for Hiking and Camping made out of Coke / Beer Tin Cans..